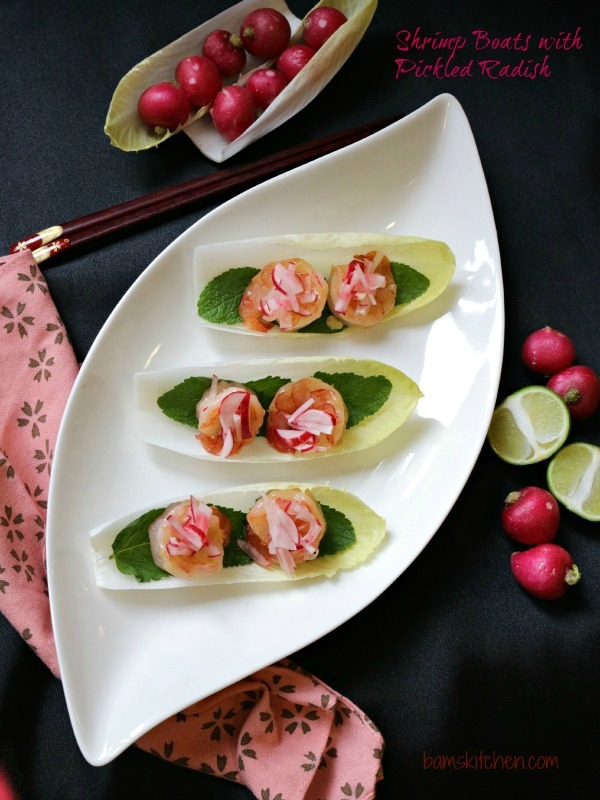 Garlic shrimp nestled in a boat of minty endive and topped with quick pickled radish. 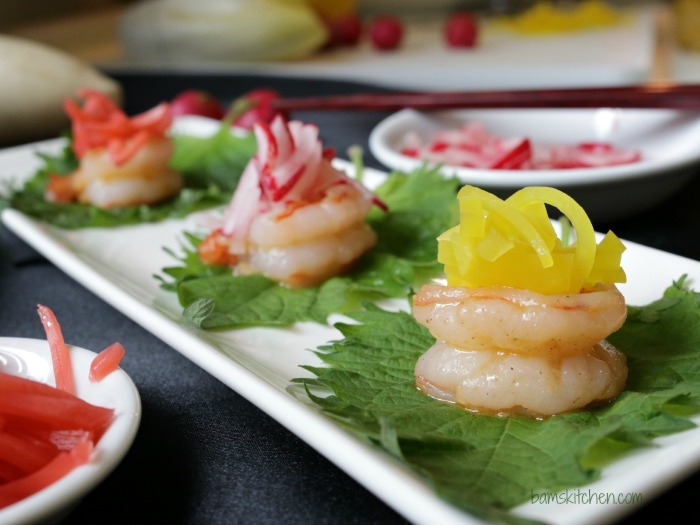 I have a fun garlic shrimp boat recipe with a quick fresh pickled radish recipe that is gentle on the waistline and full of flavour. 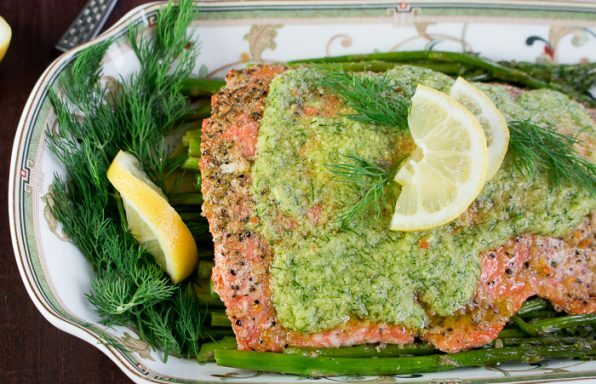 I have guest posted over at Jenny at The NY Melrose Place and am posting again here so that it is more convenient for you to find the recipe. Please stop on over to The NY Melrose Place as you are going to love her recipes and all of her DIY tricks. Garlic shrimp boats with pickled radish is perfect to serve as an appetizer or as a light lunch and is a breeze to put together. 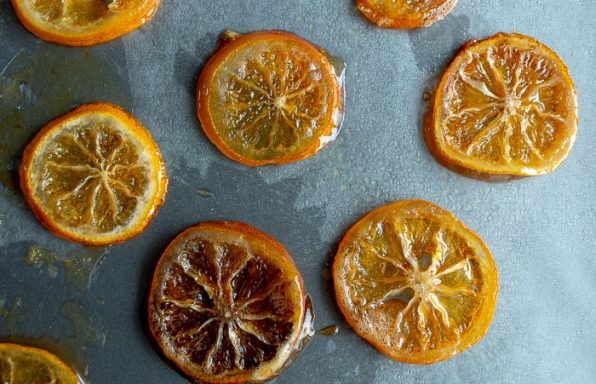 If you have 15 minutes, then you can whip up a batch of these delightful little light bites. 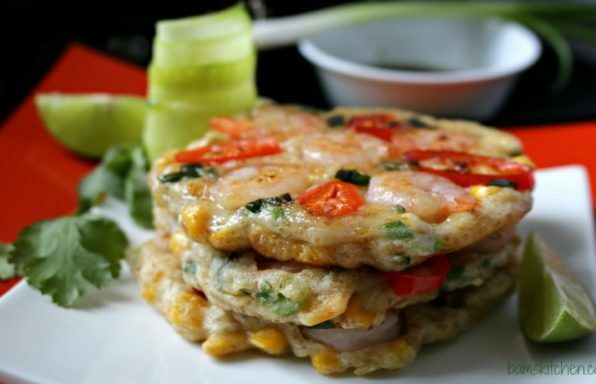 In addition to being light on the waistline, they are also gluten-free, dairy free, egg free, diabetic friendly, low carb and full of vibrant flavour. 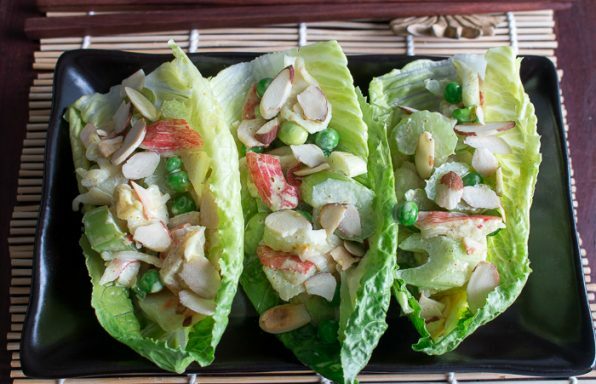 After a month of holiday over indulging, this little fun appetizer will be a welcome change to your diet. 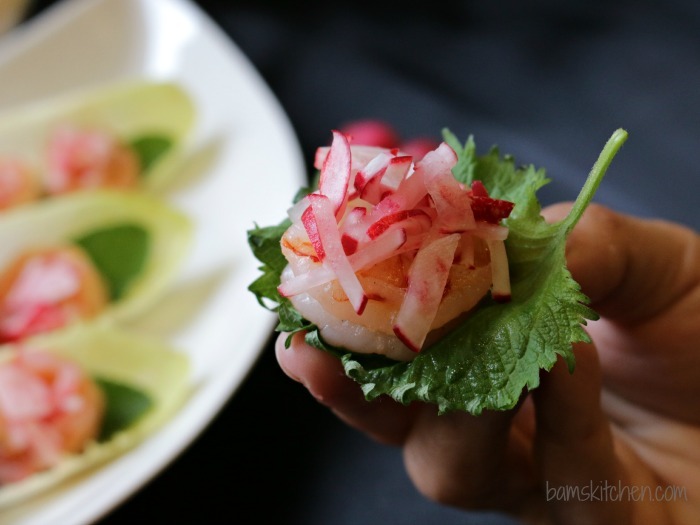 When you take your first bite of these garlic shrimp boats, you will enjoy the crunch of the endive, freshness of the mint, the cool and zesty quick radish pickles and the aroma of the garlic shrimp. I promise that this fun and healthy appetizer will tantalize all of your senses. I wanted to give you many different options for assembling your garlic shrimp boats depending on the fresh produce available in your geographic area. I live in Hong Kong and most generally we have access to both Asian vegetables and herbs. However, it is a little more difficult to get the items that are familiar from back at home in the States. I completely understand the challenges of living abroad and access to certain items that we are familiar with. 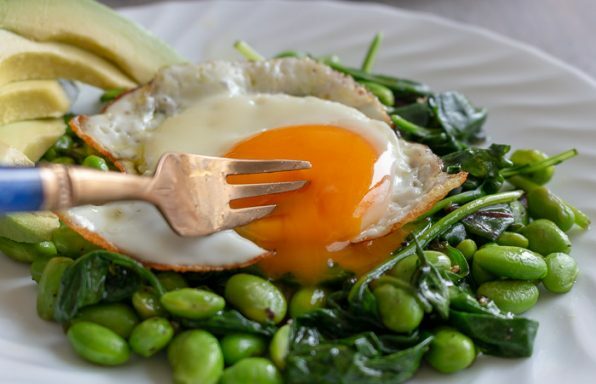 I have taken this into consideration and have given you a few different ideas that make this dish easy to make no matter where you are in this fun and diverse world we live in. 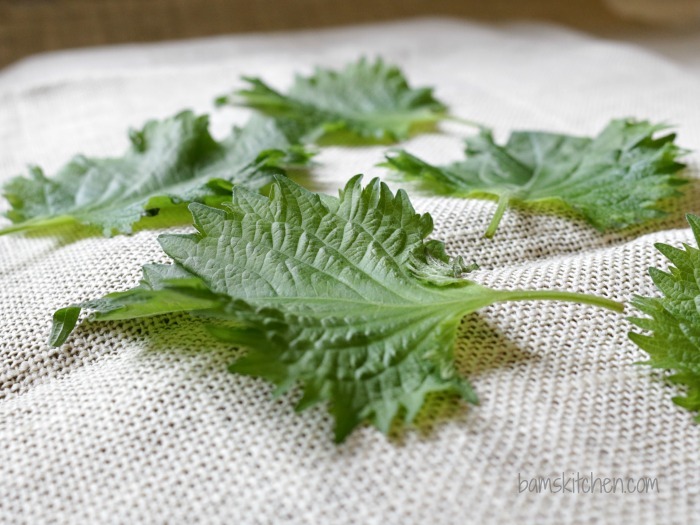 If you are living in Asia, then you will love using Shiso (紫蘇) or perilla is a herb that grows throughout southeast Asia but is most often used in Japanese cuisine. 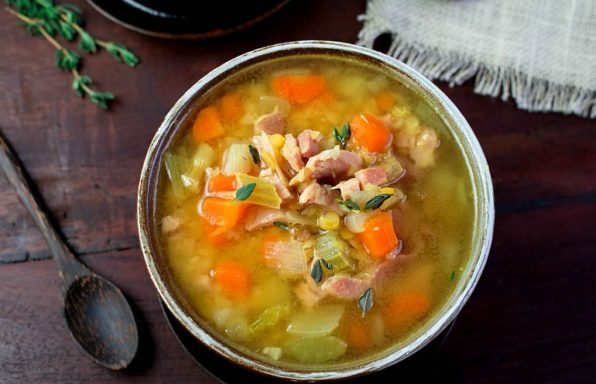 This is a really lovely and refreshing herb. I think it tastes a little minty and has a little bit of basil flavour. 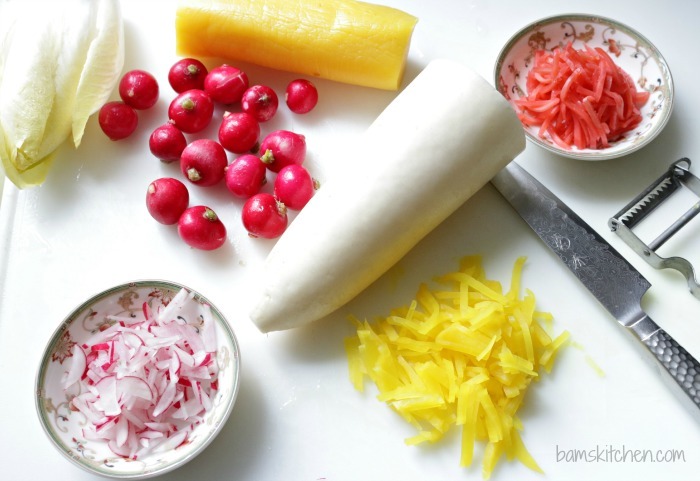 I made a great little quick pickle with thin slices of red radishes with a dash of rice vinegar, honey (or sugar alternative) and a little dash of white pepper. You could really quick pickle any vegetable you like but some other great alternatives would be thin micro slices of carrot or cucumber. Just take a look in your crisper to see what you have and go for it. I had some left over yellow pickled diakon and pickled ginger from a sushi night and these were a lovely topping to the shrimp boats. 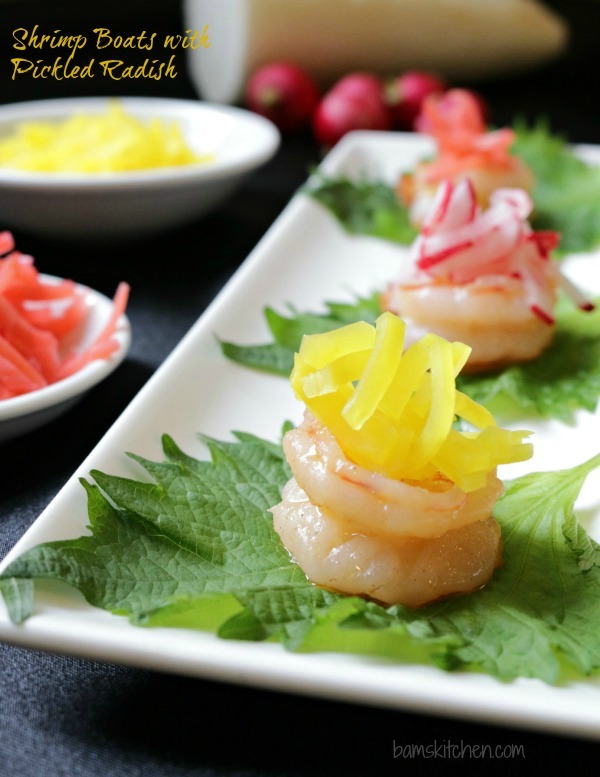 Freshly grated diakon (Asian white radish) is also a zesty topping that goes well on top of these shrimp boats. Have fun with your topping options. Eating healthy does not mean that you have to sacrifice flavours and these garlic shrimp are a perfect example of how just a few healthy ingredients such as olive oil, garlic and little fresh lime can really bring these simple flavours to the next level. I used a bag of already peeled and prepared frozen shrimp to save on time and less than 5 minutes flat these shrimp were ready to into my garnished boats. Don't forget, as a part of the Healthy Recipes Series, we have a fantastic GIVE AWAY for a Ninja Supra Kitchen System. The Giveaway is open to US Residents only. 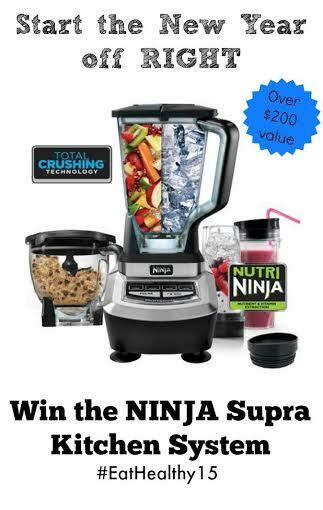 Ninja Supra Kitchen System- GiveawayThe Supra Ninja Kitchen System offers the professional performance and power to tackle a wide range of kitchen tasks. From juicing, food processing, frozen blending and dough mixing, this versatile 1.5 HP/1200-watt food processor can do it all. Don't miss this chance so please go ahead and enter your chance to win. Hurry and put your entry in as the giveaway ends on January 31st, 2015. Enter HERE. 2Prepare the garnishes. 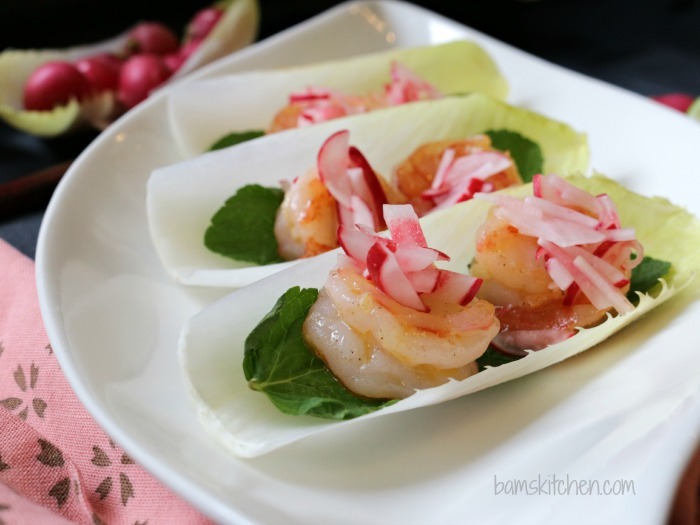 Place 10 slices of endive leaves on a plate with the curved side facing down so the shrimp can fit inside just like being on a boat. Place about 3 mint leave in each endive leaf. You can also use shisho leaves and they are both crispy and minty tasting. 3Place oil in pan/wok and heat up. Add garlic and cook just until translucent. Add the shrimp and season with salt and pepper and quickly stirfry over medium-high heat for about 2-3 minutes or until the shrimp are no long translucent. Drizzle fresh lime juice over the shrimp. Set aside. 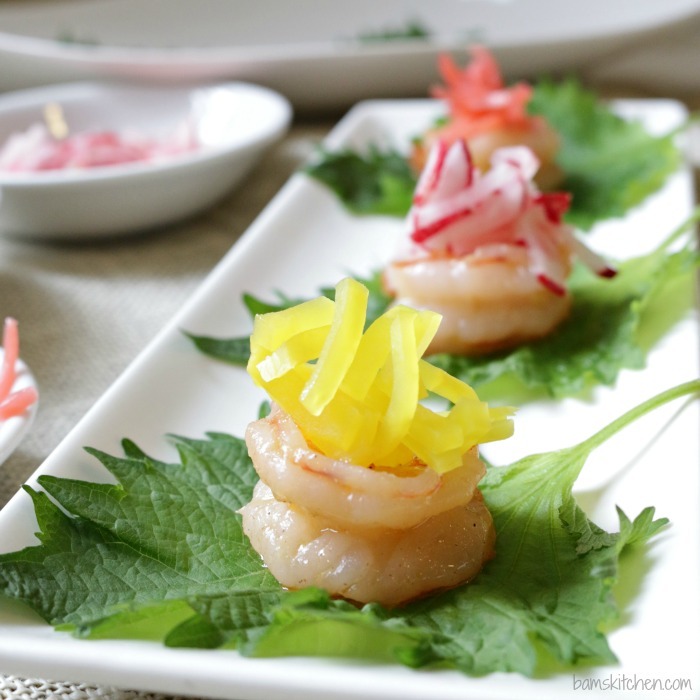 4Assembly: Place 2 cooked garlic shrimp on top of each endive with mint slices or one shrimp on top of each shiso leaf. 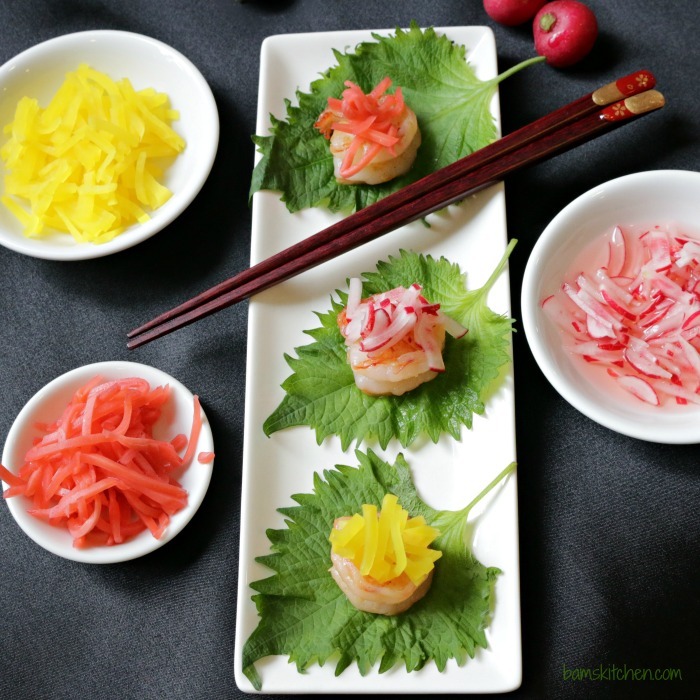 Place a little quick pickled radish on top of each shrimp. Enjoy!